Plant worksheets are a great way to teach children about the life cycle of plants and how plants grow. Plants start from seeds and grow in soil or water. They need sun, food, and water to grow. Use these plant worksheets to help convey the plant life cycle to children. And use them to help children appreciate plants. Plants include trees, flowers, and crops that make up the food we eat. Teach children about the variety of plants with these plant worksheets. Eating good food is easy with fresh vegetables. Growing up, my family had a large yard and a large garden. My mom (with all of our help) planted seeds each spring, and within weeks we watched the little shoots pop out of the ground. I loved how Mom would stick pea seeds in the ground under the snow according to the day proclaimed by the Farmer's Almanac as the day to plant. This was usually in February or March. Who would think the little seeds would do anything other than freeze? But we always had delicious fresh peas a few months later. Then later in the spring, we planted corn, green beans, lettuce, beets, and other vegetables. She usually bought tomato plants that already had a good start. We had enough vegetables that some meals all that was on the plate that didn't come out of the garden was the meat and bread. Homegrown food tastes so much better. Grow a garden with your child! Do You Grow Flowers or Plant a Garden? Seeds need a few things to grow. They must have good soil, enough sunlight, and water to sprout then grow into a plant. The seed has a coating and it breaks open letting roots grow from the bottom and a plant grow from the top. With the right light and water, the seed with continue to grow. 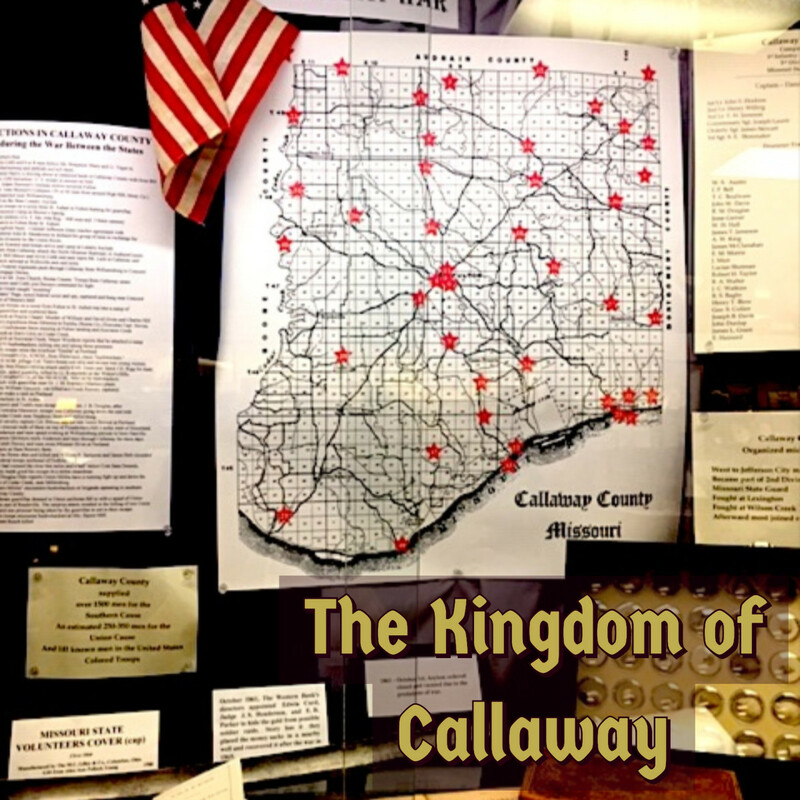 Read about this fascinating process in one of the books shown below. Then plant some seeds and watch what happens! Plant Worksheets to Print - Visit these Web sites to print educational papers. Plant worksheets help reinforce education about plants. Reading about the life cycle of plants is great but adding in worksheets makes the whole process come alive. Plants: Plant printouts and A glossary that explains basic botany concepts. Use these books to teach children about the life cycle of plants. Get the lowdown on exactly how seeds sprout and grow to make plants! Everything's more fun when Miss Frizzle teaches it! Use these lessons and printables to reinforce nature and science facts. Free, printable worksheets to help you teach about parts of a plant, plant vocabulary words, and more. Plants worksheets, quizzes and Games. 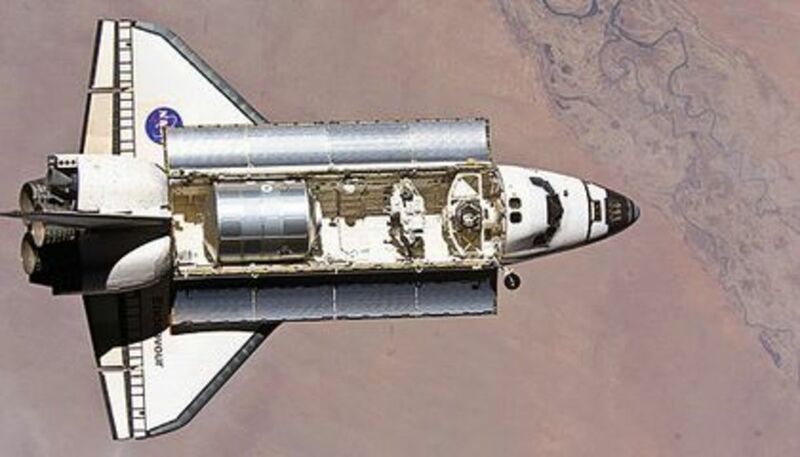 Science Online, Plants and Animals, Blueprints, Lesson Objectives, Worksheets. Free tips for parents and teachers at Rock 'N Learn's Educational Blog. Here are the posters and practice sheets. Plant a Garden, Indoors or Out! Plant an indoor garden with your kids. You can watch seeds germinate, plants grow, new growth take shape, and maybe even harvest food or flowers from your garden. Start with a plant starter kit to make it easy to watch. 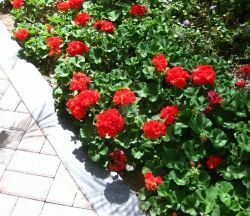 Just be sure to place the plants in a sunny spot and to water them every day. "The poetry of the earth is never dead. Links to More Plant Worksheets - Print these PDFs or use the ideas to make your own instructional worksheets to make learning about plants fun. How Do Plants Grow? Plant Life Worksheets for Kids | Craft Jr. Learn about plant life with these printables, including a mini book, coloring pages, matching game and sequencing activity. Includes lesson plan ideas for your classroom or homeschool curriculum. String of Leaves. This great Thanksgiving decoration is simple and a lot of fun to make. Use this printable to teach children about photosynthesis. Then have them label a diagram. Tons of printable plant worksheets on growing plants, plants decoder, plants crossword, plant activities. 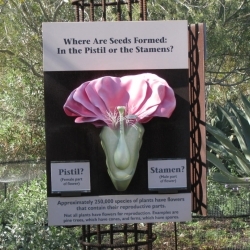 An online lesson plan to accompany the Growing plants activity from the Science Clips website. Seedy Characters -- Seeds disperse themselves in different ways. Take this simple quiz and find out how seeds manage to get planted into the ground. use this information to make a plant worksheet to test knowledge of seeds and germination. "Plants and Seeds" Word Find -- This puzzle is for young children. The words can only be read from left to right and top to bottom. This Web site is designed to help you learn about plants through humor like "How do you ship vegetables? By Parsley Post." Plants come in all shapes and sizes. In general, do you have a favorite? Vegetables--I love eating food like carrots and lettuce. Fruit trees--Thumbs up for fruit! Trees--A tree is a good thing. Pop-up Tree Card. Make this fun evergreen tree pop-up card for Christmas or any time you want to teach about trees. 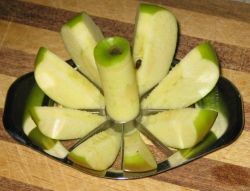 3-D Fruit Craft for kids. Kindergarten, preschool, and elementary school crafts. Make wonderful, simple animal crafts with things found around the house. Make a magic banana that will really surprise your friends! Crafts from Enchanted Learning. Flower Crafts, Flower Preschool Activities, Flower Daycare Games like flower pressing, smelling different flowers, flower seed collage, and more. Kindergarten and preschool lesson plans,worksheets and activities for the plant theme unit. Sing Along to this easy song written by Mrs. Jones with picture clues about the parts of plants. 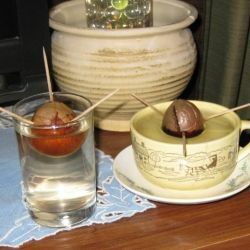 I'm trying to root a couple of avocado seeds. This is an easy, fun project to try with kids to show that seeds grow plants. According to Gardening Know Now, about one in three avocado seeds will sprout. Since I have two going, I'm hoping at least one will take the plunge and sprout! Update: One of my avocado seeds did root! The root was so long, in fact, that I had to move it from the cup shown in the photo to a glass, which gave it more room. The plant has not erupted from the top yet, but I'm hoping any day now it will! love it!! My middle daughter and I are really trying to learn all we can....for me, not much is sinking in. We both want to really be able to "live" from our gardening efforts. When I was a kid I hate vegetables and now I have my own garden on my balcony. I would love if my mom had taught me more about planting veggies when I was a kid. Maybe she tried but I didn't listen. These are wonderful tools for teaching children about plants. I think the first things I ever grew by myself were carrot tops and potatoes in a class of water. Brilliant idea and a great time saver. SquidAngel blessings. Great idea. Saves time too. I used to draw a lot of my worksheets. That's quite a collection of plant-related ideas. Brilliant - hands on is the only way one of my children could be comfortable learning. She would have benefited greatly from coloring in themed educational worksheets. Thanks! Oh man, this is a great lens! Love all the information. Wish I'd done Squidoo when I taught! Nice job!. What an amazing resource! I'll need to translate all the worksheets into french but they'll be perfect for my kids. Thanks. They are lovely and can be so educational. Lens is so interesting. It deserve thumb UP. Very nice ... you've put together a lot of resources and the plant images are pretty too. Plenty of fun and learning here for Earth Day or any day with this fine collection of plant worksheets. Happy Earth Day! Still love these. I especially like the theme you've picked. Couldn't be any better. Thanks for a great resource when working with kids! Strangely enough, none of my 3 kids (now grown) are plant enthusiasts, but they know a little just from hearing me blab over the years! What a large collection of worksheets you've gathered. I love this. I'm always looking for new ways to teach my children to love nature. It is such an incredible and amazing gift. "Trees are your best antiques", I have never heard that before and love it, you have so many special little touches here and I love the idea of plant worksheets, my heart is still in the country! your lens was to give me some pointers so that my wife doesn't keep killing our plants. Thank you much! If you like browsing lens too, mine has a great educational topic with poll questions for my readers to do. Where were all those wonderful help sheets when I was growing up? Very cool page again, Peggy. Makes me want to have kids -not. I know they are very, very useful, because I've seen many children working with them, when I worked as environmental educator. My suggestion is - with a little grown up children - to create worksheets together, telling the children what's important to notice and then letting them put all on a paper. They feel the worksheets really "their own" work. Parents and especially homeschooling parents will appreciate your efforts here. Good info. I love doing stuff like this with the grandkids. Thanks for the information. I can use the info on this lens when I teach my fifth graders about plants! Thanks.